track homework return, encourage reading, and reinforce positive behavior! 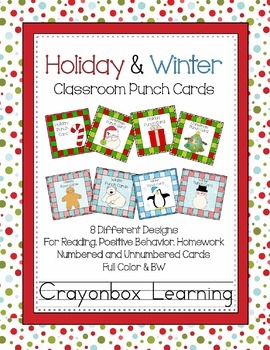 Mark off, or punch cards for each activity or milestone you wish your students to complete. Rewards may be given to students that complete their card. 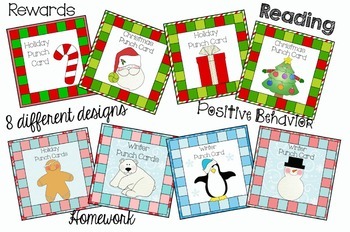 These ready to use punch cards come in 8 different theme/patterns as seen in the sample images. Cards are provided in both full color and bw as well as numbered and unnumbered versions. © 2013 Danielle Westvang - Crayonbox Learning Original artwork and designs. All rights reserved. License granted for individual classroom use only.